The Honor 8X offers a large 6.5-inch display, extravagant looks as well as a good mid-range configuration. Find out how the new mid-range processor Kirin 710 can handle everyday tasks in our review. Model: The Honor 8X is the company's best-looking device smartphone so far in the market. The phone checks the box of having a large display, great specs and a clean yet sleek build. The phone is available in blue, red, and black color options. The black is muted but the blue and red color are highly reflective, which definitely attracts attention in a crowd. The Honor 8X measures at 160.4 x 76.6 x 7.8 mm and weighs 175 g, which is as large as the Huawei Mate 20. As for hardware specification, the phone features a Kirin 710 chipset and a large 6.5-inch Full HD+ display, dual cameras at the back, 6 GB of RAM paired with 128 GB of storage, and a 3,750 mAh battery. The storage is expandable by up to an additional 400 GB via a microSD card. For a medium budget smartphone, it definitely features great performing hardware specification, something that can rival much more expensive smartphones in the market. 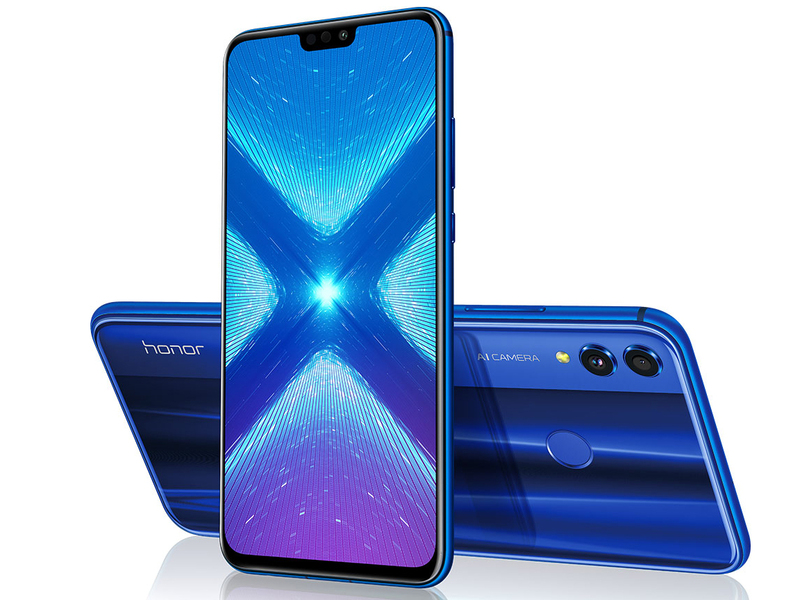 The Honor 8X also supports GPU Turbo technology, which claims to boost graphics processing for smoother gaming while improving on power efficiency. For display, the Honor 8X features a large 6.5-inch Full HD+ display (2,340 × 1,080 pixels) that houses a notch at the top, which seems to be the design trend on smartphones these days. It has an aspect ratio of 19.5:9. Despite having a large display, the bezels are really slim. 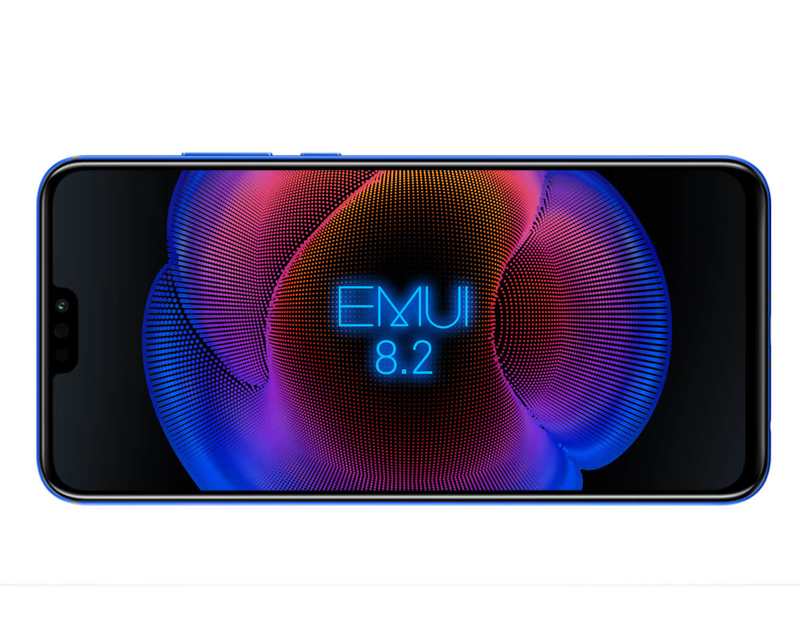 As a result the phone delivers a 91 % screen to body ratio, which is definitely one of the biggest highlights of the Honor 8X besides the price tag. The panel is decent, featuring vibrant colors and great contrast levels. The Honor 8X has a dual 20 MP + 2 MP cameras at the back, with the secondary sensor adding depth information. The camera on the smartphone these days has AI features to assist in producing better photos, which is no exception for the Honor 8X. Besides that, the Honor 8X also features Night Shot which allows a user to take better photos in low-light environments. For battery, it features a large 4,000 mAh battery that charges via a micro USB port. As for the operating system, the Honor 8C runs Android 8.1 Oreo with Honor’s EMUI 8.2 skin on top of it, which is pretty standard. As a conclusion, with increasing number of high spec devices at a mid-range price, the Honor 8X is another budget smartphone with great hardware for its price. The company has delivered a smartphone with a low price tag without compromising too much on design and performance. It is definitely ideal for users who are looking forward to upgrading from an entry-level smartphone without breaking the bank. ARM Mali-G51 MP4: Integrated mid range graphics card with 4 clusters. Beware the results in the Mate 20 Lite, that detects benchmarks and boosts the performance. Non demanding games should be playable with these graphics cards. » Further information can be found in our Comparison of Mobile Graphics Cards and the corresponding Benchmark List. Kirin 710: ARM based octa-core SoC containing four Cortex-A73 cores for performance tasks (up to 2.2 GHz) and four Cortex-A53 cores (up to 1.7 GHz) to save power. Furthermore, the SoC integrates an LTE radio (600 MBps down) and a ARM Mali-G51MP4 GPU. The SoC is manufactured at TSMC in 12nm.» Further information can be found in our Comparison of Mobile Processsors.